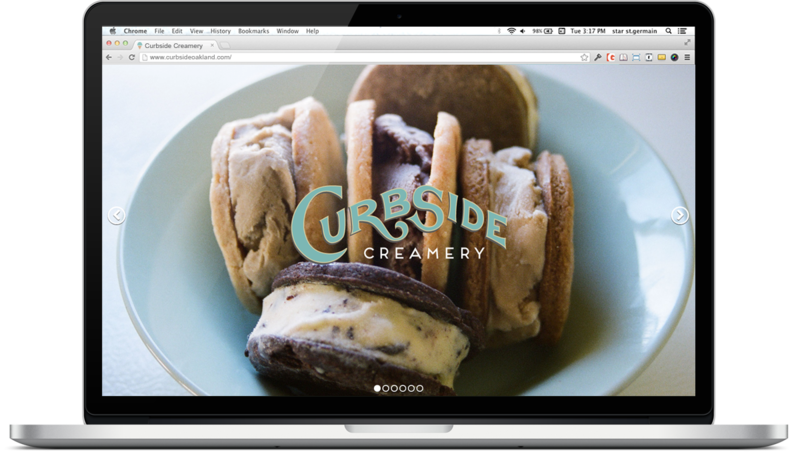 I just launched a new site for Curbside Creamery, an Oakland-based ice cream maker. The concept of Curbside Creamery is to sell artisan ice cream sandwiches, in traditional and vegan varieties, from a vending trike. For this project I developed a website, hand lettered a logo, established a style guide and designed several brand marks. 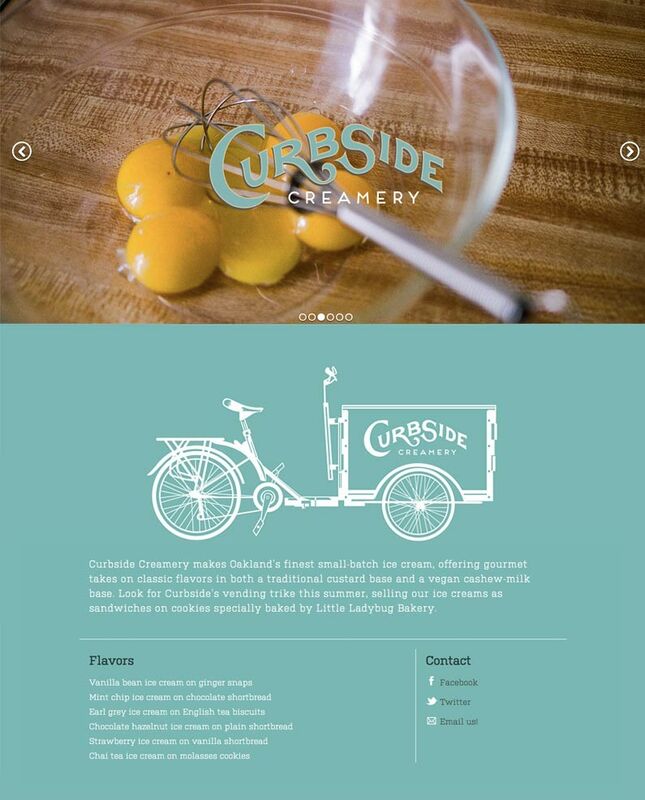 The trike brand mark is based on a photo of the actual trike that Curbside’s proprietor, Tori Wentworth, had just ordered. I started out by doing a raster sketch in Photoshop, and then vectorized it in Illustrator. The trike drawing needed to be realistic enough to represent Tori’s actual vehicle, but abstracted enough to make a good stencil drawing, vinyl cut-out, stationery header, business card graphic, etc. Finding that balance was a challenge, but I’m stoked with the result! The concept behind the website was to have a beautiful, minimalist theme. I was lucky to have some photos, shot by Tori on film, to use for the full-screen responsive slider. 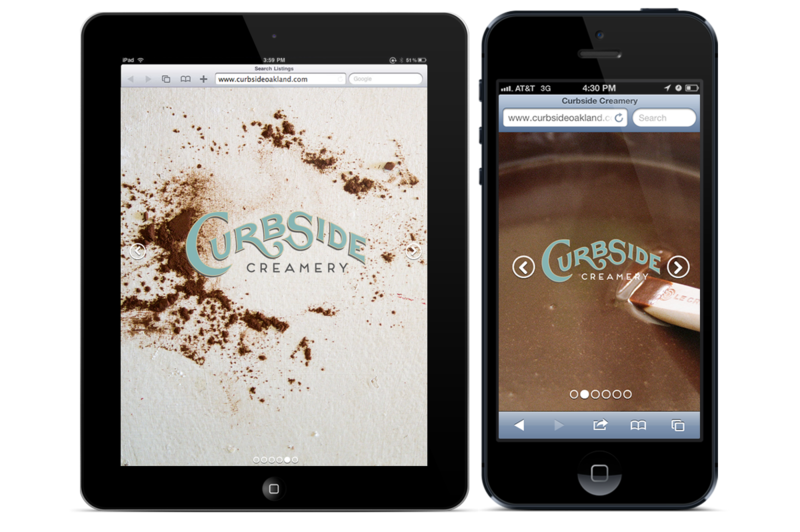 The slider script was modified to add a subtle animation effect to change the color of the word “creamery” depending on which photo is being displayed. This was added to make the logo pop against all the images, because otherwise it would’ve gotten lost on certain backgrounds. The website has a CMS that will enable Tori to make changes at any time. 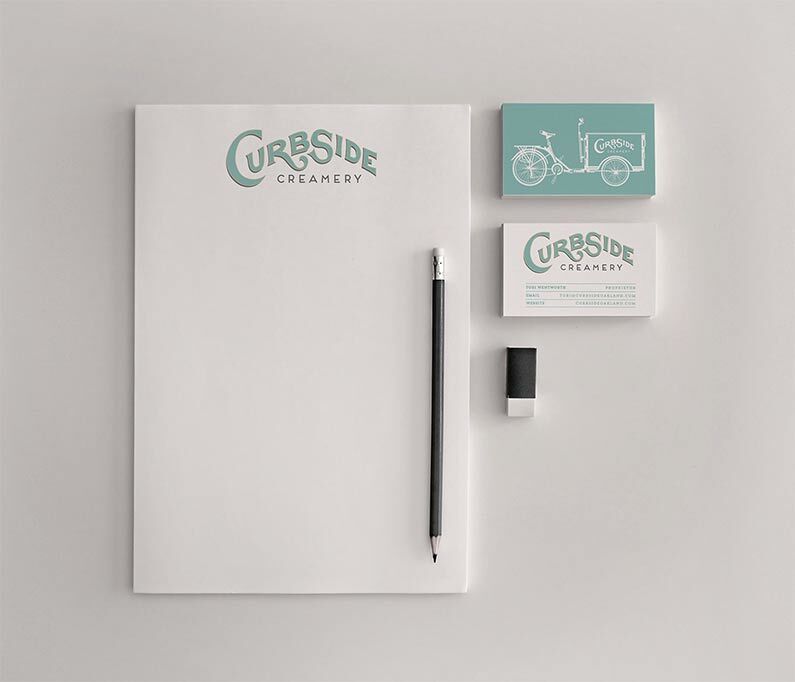 This was important because Curbside Creamery’s flavors will change in the future. Great work, Star! I love it all. Thanks, lady! Hope we get to work on a project together one of these days!